Should Matterport publish a list of known issues? Yes and provide suggested solutions. Absolutely. First issue, the unacceptable over exposed lighting problem they've created. It's a nightmare. They need to be flooded with complaints about this until they hear us. @rzphotoman That is so true! I had to manually edit the 360's to get color back into the images. My client said they are unacceptable to them and washed out looking. 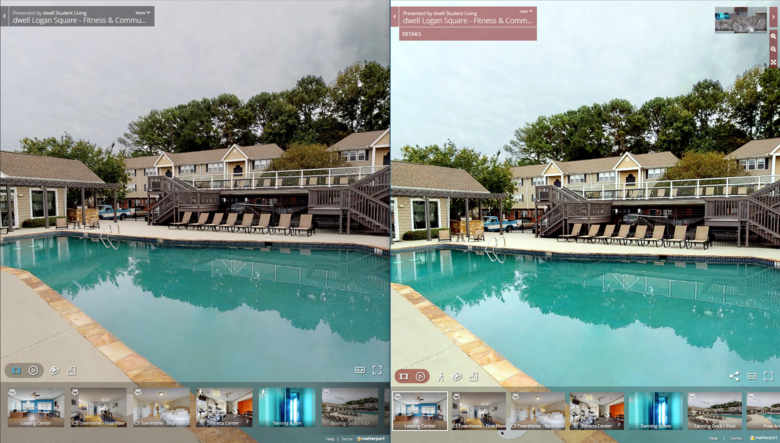 They did not want to use the 3D model and I had to create a 360 tour with the edited photos. It was a nightmare to say the least as I pride myself with providing a quality product that shows the actual and color true images. Your request (131509) has been updated. To add additional comments, reply to this email. Thanks for reaching out with your concern. Yes, the developers are aware of the overexposure issue and are working on it. My message may not have been clear. What happened was a fix to the overexposure in windows problem was released. That fix introduced a different bug. The team tried to fix that quickly and released that fix about a week after the first fix was released. This second fix, unfortunately, also did not have the desired results to they decided to roll both fixes back to the way things were, which meant we were back to having over exposed windows. What I don't see happening is rolling things back to the way things were a year ago. I understand the frustration and concern users are having. Please know that we are working on a solution to resolve the problem, but these things do take time and a lot of testing. The same processing engine has to work well for every different type of lighting situation and environment, while providing tens of thousands of users with subjective options on what the right brightness level and color should be with adequate image quality. This is by no means an easy solution, but we will find it. This was a known issue. Why not simply publish a dynamic, known issues list with date/time and status. Are the overexposed issues still unresolved? I absolutely love when companies will post a list of submitted issues (a 'TRAC' or other system). I love it too when the company shows that they have been resolved. I do not see Matterport doing this at any time soon. Perhaps with the new CEO in place and the potential to move things around, they might hire more developers that can work on improving quality of service. From what I have gathered, they implemented some new things in the pipeline to resolve several issues, that created several other issues, and then ended up rolling back. WGAN Standard and Premium Members get the free use of MPEmbed.